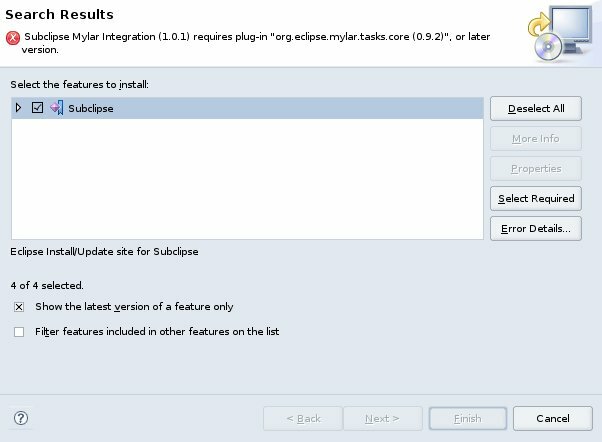 The Graphical Eclipse FAQs is a collection of that have been produced by the Eclipse community in hopes of helping guide users through frequently asked questions with the help of verbal instructions and graphical screenshots. 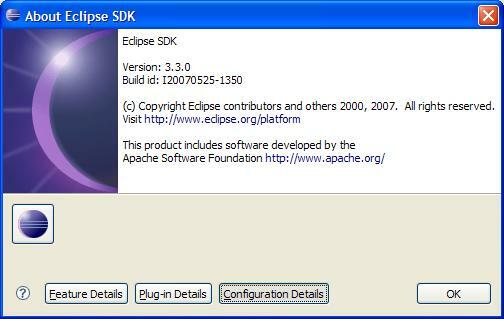 1.1 How do I find out which Java runtime environment is being used to run my Eclipse? 1.2 How do I show line numbers in the Eclipse text editor? 1.3 How do I change the colour of the highlighting marker that highlights all the occurrences of some element in the text editor? 1.4 I have just installed a plug-in but I do not see any indication of it in my workspace. What do I do? 1.5 How do I not install a plug-in's extraneous dependency when I'm in the Update Manager? 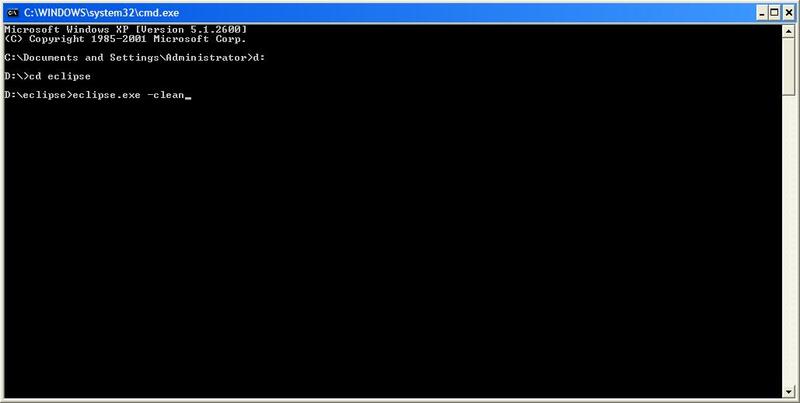 1.6 How do I check for the command line invocation that Eclipse used to launch an application? 2.1 How do I change the compiler compliance level for my workspace? 2.2 How do I add arguments to the Java program I am running? 2.3 How do I alter my package representation so that parent packages are housing child packages? 2.4 I clicked on something and now I can only see the method that I am currently editing. What do I do? Did I lose my entire file? 3.1 I get an unhandled event loop exception in my console. What gives? 1. 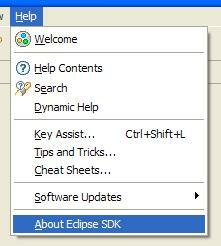 Go into the Help menu and then click on About Eclipse SDK. 2. 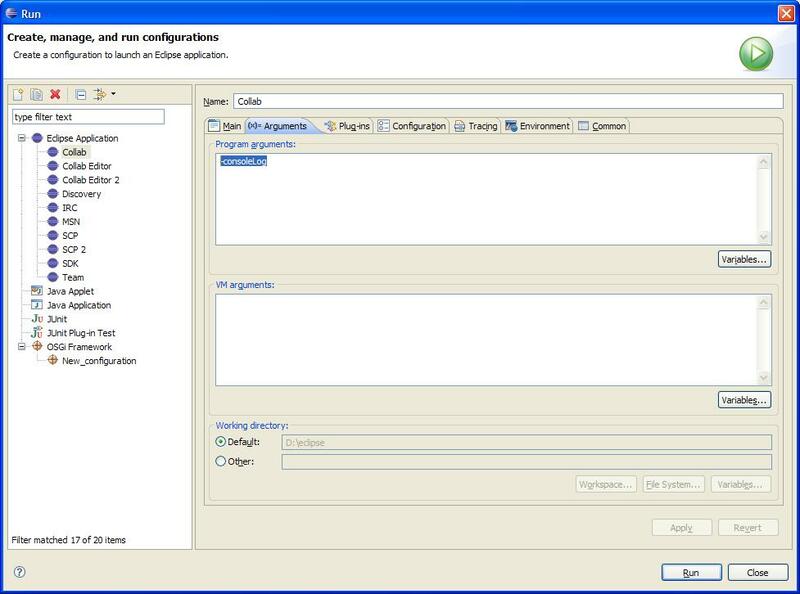 Now in the opened about dialog, click on 'Configuration Details'. Note that the following screen shots are for Galileo; for Helios distributions, you should instead click on the 'Installation Details' button and then select the 'Configuration' tab. 3. 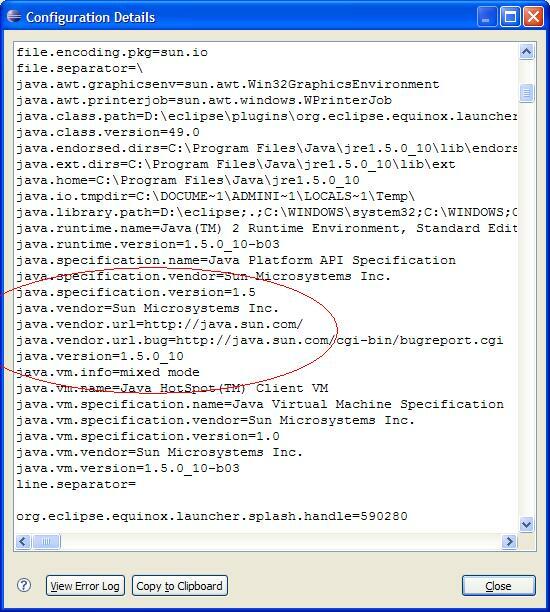 Now take a look at the java.vendor and java.version property. 1. Right-click on the left margin of your text editor and then click on 'Show Line Numbers'. 1. Go into the Window menu and then click on Preferences. 2. 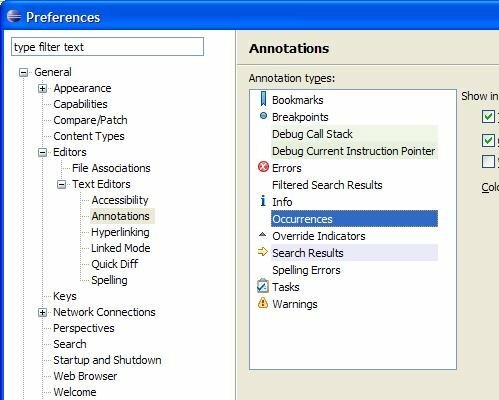 Now navigate to the 'Annotations' preference page as below and change the colour of the 'Occurrences' annotation type. 1. Did you try restarting Eclipse with the -clean argument? 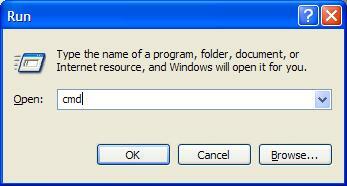 The instructions provided here are for Windows users. For UNIX-based system users, the steps are similar and you should be able to follow along without any trouble. 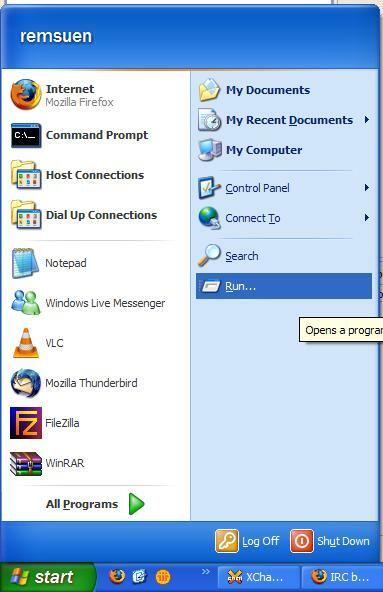 First, open your Start menu and then click on Run. 3. Navigate to your Eclipse folder and then run Eclipse with the -clean argument appended to it. 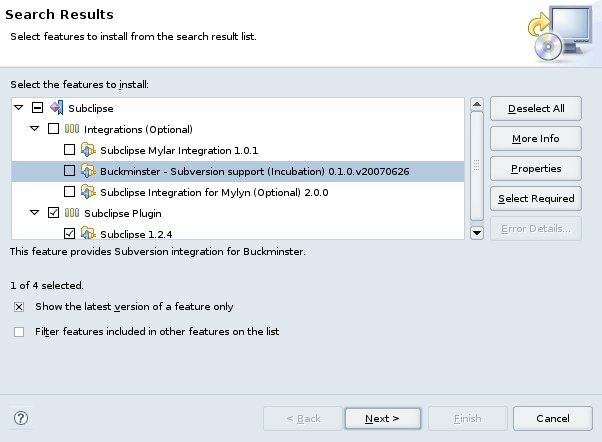 How do I not install a plug-in's extraneous dependency when I'm in the Update Manager? 1. Are you seeing a screen similar to the one where the plug-in you are installing is asking for some other plug-in? 2. Expand the section by clicking on the arrow. Keep expanding until you see everything and then tick off the "additional dependencies" that you don't want. 3. Now you can install the plug-in without installing other things. 1. 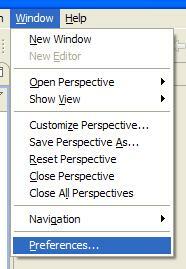 Open up the 'Debug' view and then open up the context menu on your process and access its properties. 2. You can identify the command used from the properties dialog. How do I change the compiler compliance level for my workspace? 1. Open up the preferences dialog by going to the Window menu. 2. 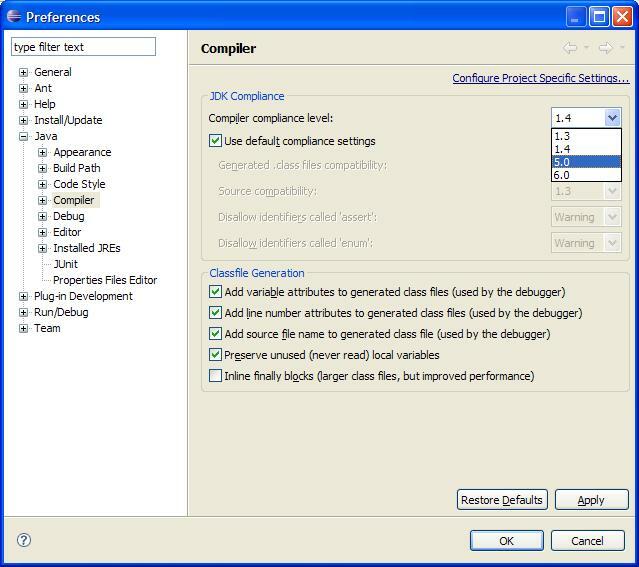 Now navigate to the Java compiler preferences page as below and then select your compiler compliance level. The same steps can be applied on a per-project basis by accessing your project's properties page. 1. Open up the run dialog via the dropdown toolbar item. 2. 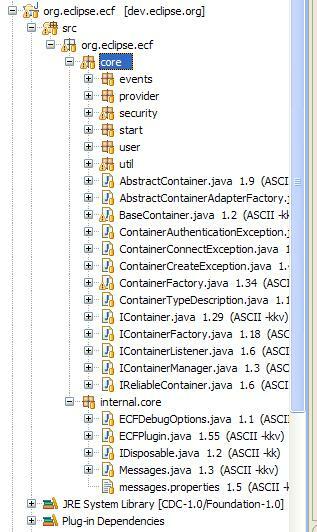 Select your Java Application launch configuration. Go into the 'Arguments' tab and then type in your arguments in that text field. 1. Click on the dropdown menu on the Package Explorer view. Go to the 'Package Representation' submenu and then click on 'Hierarchical'. 2. You should now see your packages presented in a tree like structure. 1. No, you must've clicked on the 'Show Selected Element Only' toolbar item. See below and unselect it. 2. 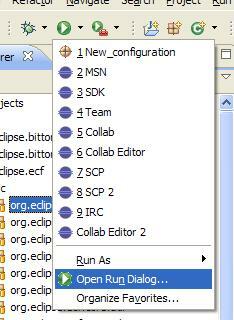 Select your Eclipse Application launch configuration. Go into the 'Arguments' tab and then append '-consoleLog' as an argument and then try running your application again. This page was last modified 14:47, 13 August 2010 by Brian de Alwis. Based on work by Remy Chi Jian Suen.